Till now we have seen quite a lot of drones flying past us, most of them were toy drones used for fun or as a flying eye to journalists, did you come across any 3D printed military drones? It’s very unlikely. 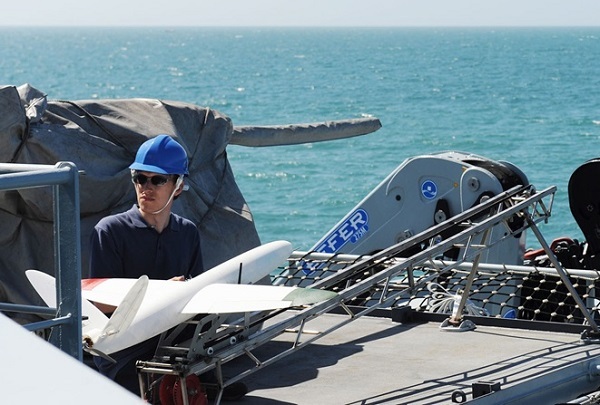 British navy has just shown us how 3D printed drones can be a substantial military asset. 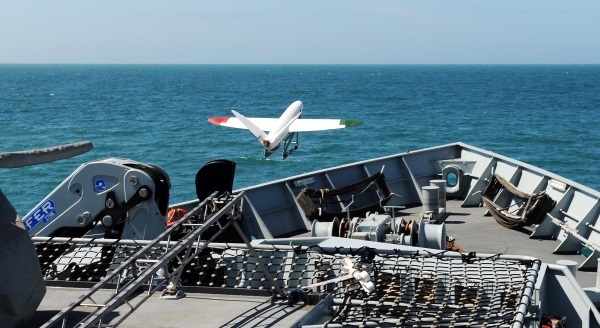 Last Tuesday, HMS Mersey ditched her anchor at south coast of England and set sail to test 3D printed drones. Military applications are beyond the toy drones that you and I could assemble, British Navy is thinking seriously to commission 3D printed drones for emergency missions. Slightly larger than the usual drones we see, weighing around 3 kilograms and printed on shore, even though it may be cheaper to build but its applications are impressive. The drone was assembled on board the warship, it was catapulted into the air by a 3 meter long catapult, the trajectory and launch was successful and went as planned. It flew autonomously among the few pre programmed points on the sea for 5 minutes; it was piloted safely landing on the adjoining pebble beach. Geoff Hayward, a desk officer at the Maritime Warfare Centre explained that this little project was to demonstrate how cheap drones can be 3D printed onshore, programmed and launched on-board a warship. Applications are wide, these types of drones are particularly suited for search and rescue during natural disasters. Hayward was present when the test was conducted, he pointed that conventional methods of manufacturing such drones on board a warship is not feasible or affordable, 3D printers are more suited. To prove its worthiness, such test is to be conducted in stormy conditions at sea to mimic real time conditions. Hayward has acknowledged it to be world’s first, and it was made in collaboration with 3D printing company and scientists. Applications of such drones include civilian use as well. 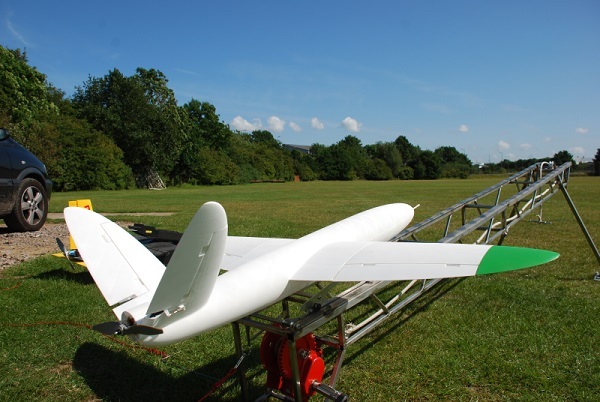 The drone was named “Sulsa” with an impressive wing span of 1.5 meters with speed topping 100 miles in an hour. It was developed by aeronautical engineers at the University of Southampton, the propeller driven machine has 3D printed parts in nylon. Components which were added include a propeller, battery, a motor and control mechanics. Though there is room to add various sensors, radar equipment and cameras as well. As explained by Professor Jim Scalan at the University of Southampton, this essentially is a cheaper version of existing drones which can be launched from ships. 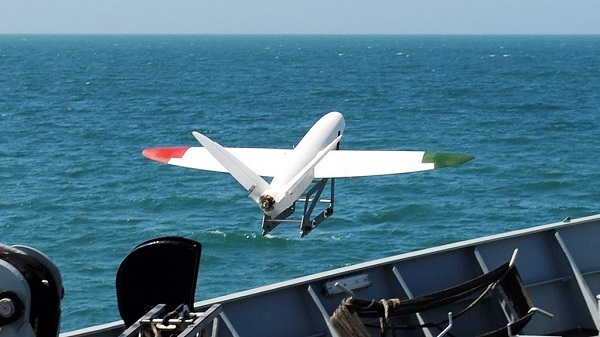 The Navy thinks current UAVs, which can be launched from a ship are too expensive, it destroys the whole purpose of having one in real time situation. One such drone is Boeing’s Scan Eagle, its operators are prettified that they might lose one, if it’s single engine sneezes it goes for a swim. However, unlike, the Sulsa doesn’t cost millions to build, it is hardly few thousand dollars. On the downside, Sulsa as of today can only fly for 40 minutes at a stretch still that is enough for spotting pirates in 10 mile radius or finding survivors at sea. If one goes down in the enemy hands, then you send another one, says Scalan. He is envisioning ships with in house parts to launch 50 drones, as well as 3D printers to manufacture spares onsite for challenging missions. Though there is much testing still to be done, the Sulsa has already proven its seaworthiness. According to Institute of Mechanical Engineers, within 5 years we will see warships equipped with 3D printers which will be able to custom produce UAVs for specific missions. Kevin Franks from Defense Science and Technology Laboratory added – the ability to tailor make task specific tool, spares, components, device in the field or in a space confined warship, would have significant impact on armed forces capabilities and shape. The military has just started exploring the capability of 3D printing, the applications and usefulness is only about to increase in future.